The famous ‘Diani Beach’ is often ranked among the best beaches in the world. Shimoni National Marine Reserve includes the islands of Shimoni, Wasini Island, Kisite Island, Upper Pengutti and Lower Pengutti. Diving in Nullarbor Plain is great. 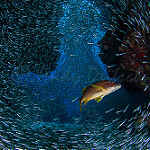 Diving in Capricorn Islands is great. Diving in Straits of Tiran is great. Diving in Safaga is great. Diving in Siargao is great. Diving in Negros is great. Southern Leyte is one of the last frontier. Cebu is home to magnificent and varied coral reefs where thresher sharks have been known to roam. 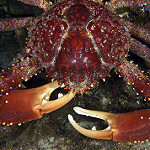 Macro diving is also possible in the area and divers can opt to stay in a host of diving resorts that cater to any budget. Diving in Mahengetang is great. 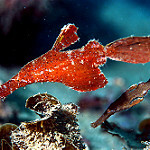 The Banda Sea offers plenty of variety for every diving preference. There are top-class reef dives, drop-offs and critter sightings galore, not to mention large schools of fish and vast numbers of pelagics. 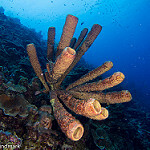 Sites in the Banda Sea are a popular choice for many liveaboard routes as they make their way between Raja Ampat and Komodo. Diving in Sanur is great. With top-notch muck diving opportunities, Ambon is definitely a destination to add to your liveaboard experience! Famous for hosting a variety of colourful nudibranch species, this destination has some very healthy reefs teeming with marine life including pelagic fish of all shapes and sizes. Cenderawasih Bay offers the exciting opportunity to see whale sharks, various turtle species, dolphins and dugongs all in one area of West Papua. 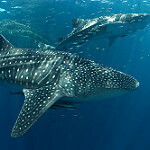 Fantastic and unique photo opportunities are presented here, especially when multiple whale sharks gather to feed on small fry that escape from fishing nets rather than their regular filter feeding methods used for plankton. Cape Town offers great reef and cave diving opportunities in amongst magnificent kelp forests. 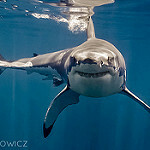 As a regular feeding place for great white sharks, this is also a major attraction for many divers. Cape Town is an excellent base to explore the rest of southern Africa and all that it has to offer in terms of wildlife, scuba diving and cultural attractions. Kenya is well worth a visit! As a top destination for wildlife spotting and a great variety of large pelagics in its waters including whale sharks and humpback whales, Kenya’s charm extends well beyond the stunning scenery with friendly locals adding to the many cultural delights of this African gem. Muck diving is the main focus of any diver’s visit to Dauin where large numbers of juveniles and critters tend to congregate on the sandy slopes. Artificial reefs are also in abundance and easily accessible from the nearby resorts. Diving in Cocos (Keeling) Islands is the best. Diving in New South Wales is great. Diving in Bintan Island is great. Diving in Menorca is great. Diving in Canary Islands is great. Guam is the biggest island in Micronesia and is home to an impressive variety of fish and coral life. One of Guam’s claims to fame is that it is home to the only dive site where a wreck from WWI and WWII touch each other underwater. The SMS Cormoran and the Tokai Maru are definitely worth exploring when in Guam, which is an up-and-coming tourist destination with good nightlife, restaurants and hotel options. French Polynesia is without a doubt one of the world’s greatest diving destinations and should be added to the top of any diver’s bucket list! With over 118 islands and atolls in the area, the dive sites are as varied as the incredible underwater life, which boasts regular manta ray and shark sightings. There are also plenty of tropical fish to be seen. The main scuba diving hub is currently located in Nha Trang. 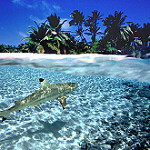 Diving in Cook Islands is great. Taiwan is an up-and-coming scuba diving destination. Honduras is the land of plenty when it comes to variety. 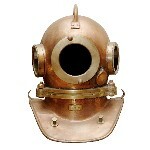 Divers can opt to take a relaxing swim through eel gardens or explore exciting ship wrecks below the water’s surface. Macro photographers are in for a treat thanks to shallow waters providing great photo ops. Aruba offers Caribbean wreck diving at its best! Famous sites inclue the Pedernales and the Antilla which both offer an interesting insight into history from the beautiful depths of the Caribbean waters. Turquoise waters and the greatest wall diving opportunities in the Caribbean are what make these islands so popular amongst divers. The clear waters surrounding this chain of 40 islands and cays are home to an incredible ecosystem that needs to be seen to be believed. For diving enthusiasts, it doesn’t get much better than the Cayman Islands! Easily one of the best diving locations in all of the stunning Caribbean, divers from all over the world flock to the Cayman Islands for magical diving year after year. The Grand Cayman, as the name suggests, is nothing short of grand. Great for wall dives, wrecks and of course fantastic coral reef sites, divers are likely to encounter plenty of turtles and stingrays gliding around the area. To get the most out of the great diving in Panama, many opt for a liveaboard trip. When not underwater, visitors are often amazed at the varied landscape of Panama, with vast rainforests, mountains and beaches all in close proximity to one another. 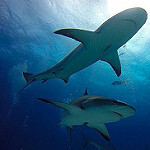 Coiba National Park is well worth a visit, as is Malpelo Island for shark diving enthusiasts. Not only do the picturesque islands of the Bahamas ignite feelings of utter relaxation for visitors, the underwater scene is likely to do the same. It’s not all just placid, relaxing fun however, as the waters are teaming with a variety of shark species, ensuring adrenaline levels will be high on each and every dive. 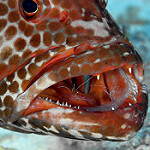 Bonaire is a brilliant destination for easy diving right from the shore! With protected reefs and an abundance of marine life, Bonaire is one destination that is not to be missed. 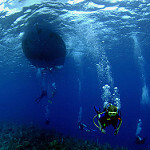 Little Cayman may be little, but the dives sure are deep! Well-known for great wall dives such as Bloody Bay, some of Little Cayman’s walls feature sudden drops to more than 2000 metres. Tanzania is home to charming locals and stunning scenery both above and below the water. 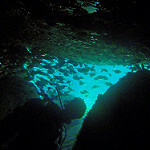 The islands offer a variety of excellent diving opportunities. Diving in Mauritius is great. Mozambique is home to white sandy beaches and the clear warm waters of the Indian Ocean, not to mention fantastic scuba diving. Encounters with big marine species such as whale sharks, dolphins, turtles and sharks are just some of the exciting experiences awaiting those that visit. South Africa is a rich and diverse land both above and below the water’s surface and is definitely somewhere worth exploring! Thanks to the presence of millions of sardines at certain times of the year, dolphins, seals, sharks and whales are all regular sightings, not to mention the legendary great white shark interactions.